The M83 is a M4 style airsoft electric BB Rifle. It is a high performa.. The M83 is a M4 style airsoft electric BB Rifle. It is a high performance semi and full automatic machine gun. It uses 6mm BB ammo and has a large magazine for continuous use without constant reloading. The gun also features a retractable stock to enable a good fit with all size users. This high powered automatic machine gun holds up to 40 rounds making it one of the best endurance guns available. Working safety lock solution, semi / auto switch, retractable stock, a large ammo magazine for up to 40 6mm BB rounds, extension barrel, large silencer and a red cross electric gunsight to fly further and more accurate, battery and mains charger, plus protective glasses. 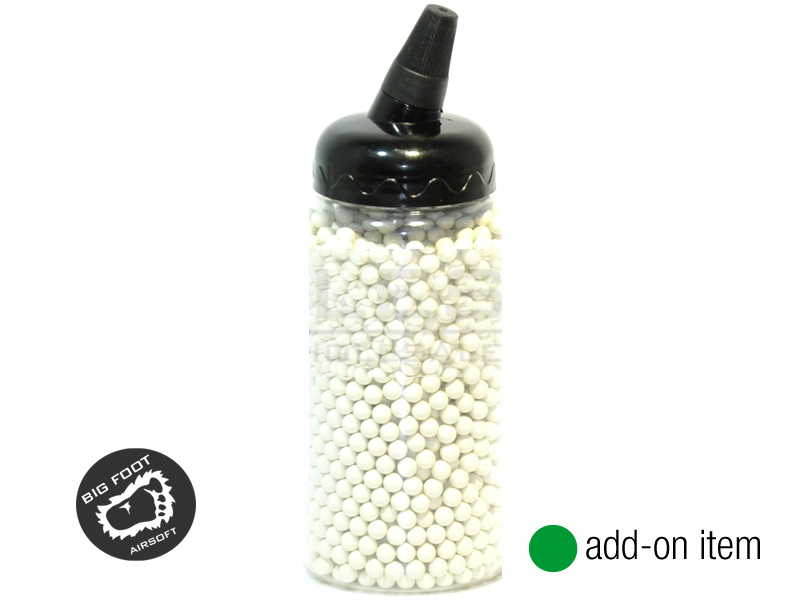 Add-on from green products. Look out for the icons.